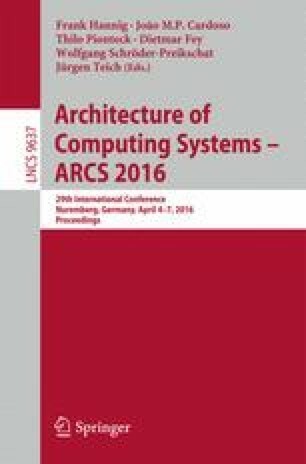 The ever-growing need for energy efficient computation requires adequate support for energy-aware thread scheduling that offers insight into a systems behavior for improved application energy/performance optimizations. Runtime accurate monitoring of energy consumed by every component of a multi-core embedded system is an important feature to be considered for future designs. Although, important steps have been made in this direction, the problem of distributing energy consumption among threads executed on different cores for shared components remains an ongoing struggle. We aim at designing a generic low-cost and energy efficient hardware infrastructure which supports thread level energy accounting of hardware components in a multi-core system. The proposed infrastructure provides upper software layers with per thread and per component energy accounting API, similar with performance profiling functions. Implementation results indicate that the proposed solution adds around 10 % resource overhead to the monitored system. Regarding the power estimates, the one derived by our solution achieves a correlation degree of more than 95 % with the ones obtained from physical power measurements. This work has been supported by the project CHIST-ERA/1/01.10.2012 – “GEMSCLAIM: GreenEr Mobile Systems by Cross LAyer Integrated energy Management”.